The following details are provided for the convenience of trained Court Advocates, who are authorized to act as Court Advocates through Safe Humane Chicago. 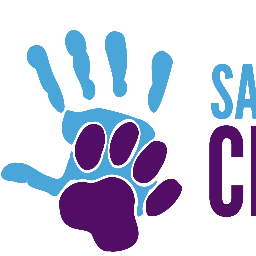 If you want to get involved, email courtadvocacy@safehumane.org. ABOUT UPDATES: Be sure to check updates in the days before the court date. Details may be added as late as the night before. CHECK INDIVIDUAL CASES IN THE "AUTOMATED VICTIM NOTIFICATION" (AVN) SYSTEM BY PHONE or online through VINELink: In Cook County, check most recent information in the Circuit Court Clerk's system by calling AVN: 877-846-3445. For English, press "1" and then "2" to check court hearing information. As the message states, you will need to enter EITHER "the Circuit Court Clerk's case number, IR number, or the police incident report number" (see explanations at the *** below) OR the defendant's first and last names with correct spelling. If you have one of the listed numbers, press "1". If you have only the defendant's name (correct spelling), press "2". *** The Circuit Court Clerk's case number begins with the last two digits of the year in which the case was filed and typically ends with 01 or 02. We do not provide the IR number. The police incident report number for Chicago cases is the Records Department of "RD number", which begins with two letters (in 2018 JB) followed by 6 numbers. For help, email courtadvocacy@safehumane.org. When details are incomplete, check with the courtroom before going to court. IF YOU FIND ERRORS/omissions, please email courtadvocacy@safehumane.org or leave a message on 312-409-4790. Details may change or may be incorrect. note: 19Feb19 guilty plea to amended lesser charge of cruel treatment - 10 days SWAP (fees waived) and 2 years conditional discharge. note: 19110203201 charges, which included 1x animal torture, were superseded by indictment. note: special condition of bond - If there are any domesticated animals in the house, they must be relinquished to animal care and control. Defendant cannot possess any domesticated animals for the duration of these proceedings. note: 1 dog confiscated 25Dec18 with multiple health issues resulting in the dog’s death during surgery; 28Dec28 2 dogs confiscated. note: 18112450901 included 2x owner duties 1st offense in addition to 1x agg cruelty. THIS COURT ADVOCACY PROGRAM IS A CITY-OF-CHICAGO-SPONSORED PROGRAM with partners Chicago Police Department, CAPS, Chicago Animal Care and Control,Cook County State's Attorney, Cook County Circuit Court, and Safe Humane Chicago – Court Advocates are trained (or appear with experienced, trained Court Advocates) in the protocols of the Cook County judicial system and with established guidelines. The information provided here is the result of this important partnership and, of course, the volunteer Court Advocates who provide information from attending court hearings. If you publish this information, please credit this partnership. NOTE THAT ERRORS MAY BE PRESENT IN THIS LIST. Her favorite role in playgroup is to welcome each dog as they enter the group.